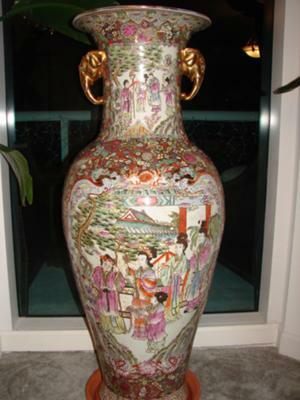 lARGE 50" TALL TEMPLE VASE 98" CIRCUMFRENCE. This is a 20th century (modern) baluster vase. 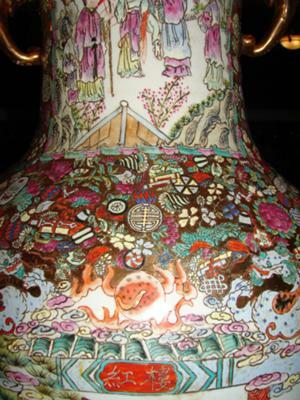 The characters on the shoulder of the vase mean "Hong Lou", meaning Red Chamber. Apparently the decoration is meant to depict a scene from the novel "Dream of the red chamber".